Why Is Everyone Talking about Silicone Baking Mats? Easy Irish Shamrock Cookies are a fun cookie recipe and a good one to make with kids. You can make them with any sugar cookie recipe. If you have a favorite, by all means use it. In this version, I use a sugar cookie mix but dress it up. The reason is simple. The fun in making these cookies is assembling the clover leaves into shamrocks! You’ll take teaspoonfuls of sugar cookie dough, drop them onto a cutting board, and cut them into quarters. Three of the wedges become clover leafs. 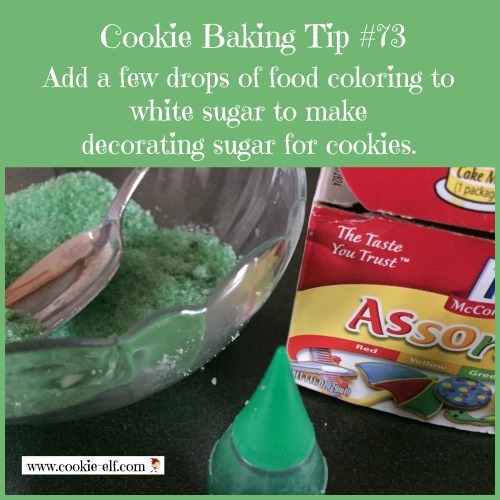 You’ll roll the fourth into the stem and then sprinkle the whole cookie with green colored sugar. 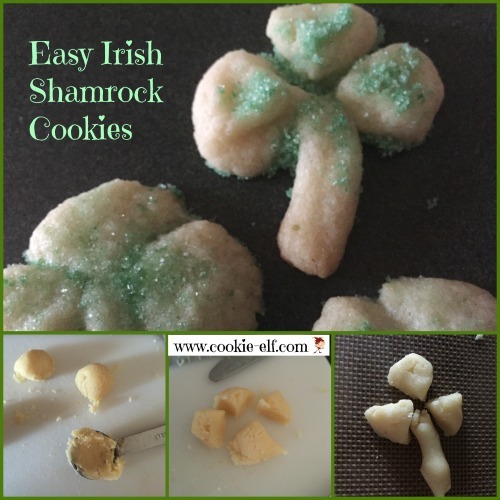 Get the full recipe for Easy Irish Shamrock Cookies… and check out our Irish Cookies Pinterest board for more fun baking ideas for St. Patrick’s Day.